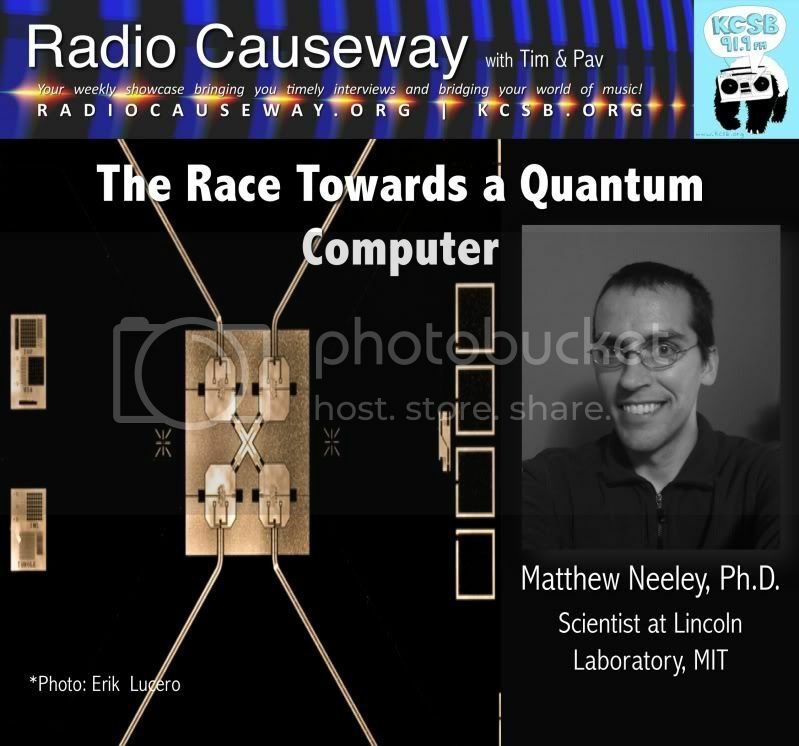 Project Scientist at Lincoln Laboratory at MIT and former UC Santa Barbara Graduate Student in Physics, Matthew Neeley, Ph.D. talks about his recent paper in Nature on his team's breakthough in quantum computing. Dr. Neeley is an alumni of the Martinis Group at UC Santa Barbara. The breakthrough work has shown for the first time the entanglement of three quantum bits of information, or qubits. The long term goal in this is to create a high functioning quantum computer. Images of the quantum devices can be viewed here. A recent NY Times article discussing Dr. Neeley's work can be found here. The Yeah! Free Music! pick of the week is Quittin' Time from the Boulder, CO based artist, Patrick Lee. Listen live Tuesdays from 9-10AM on KCSB.ORG | KCSB FM 91.9 in Santa Barbara.